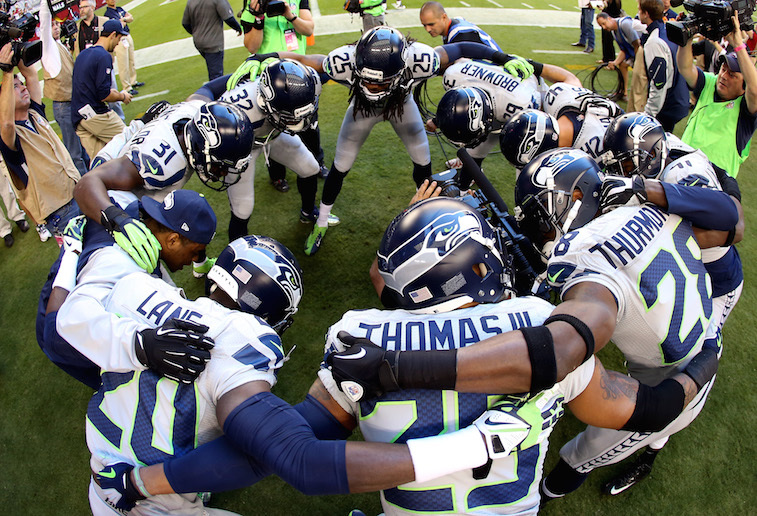 Can Anyone Challenge the Seattle Seahawks as the NFL’s Best Defense? Over the last six seasons, the Seattle Seahawks have built one of the greatest defenses the NFL has ever seen. Since 2010, when John Schneider took over as the team’s General Manager and Pete Carroll took over as their head coach, the Seahawks have been one of the winningest teams in the league. And it’s no secret that their success has been mainly due to their dominant play on the defensive side of the ball. During their Super Bowl XLVIII championship season in 2013, the Pro Football Focus (PFF) ranked the Seahawks as the best defense in the league – by a wide margin. If actual statistics are your thing, then the fact that Seattle’s defense led the league in total yards allowed per game (273.6) and points allowed per game (14.4) should have you convinced that they were easily one the best defenses in NFL history. If that wasn’t convincing enough, consider the fact that they held the best offense in NFL history – the 2013 Denver Broncos – to only eight points en route to their 43-8 blowout win in Super Bowl XLVIII. The Seahawks nearly matched that performance 2014. PFF ranked their defense as the fourth-best in the league, despite the fact that they again led the league in total yards allowed per game (267.1) and points allowed per game (15.9). They came within one boneheaded play call of repeating as Super Bowl champs, and despite the media attention that their quarterback, Russell Wilson, gets, it was without a doubt their defense that had them in position to become just the ninth team in league history to repeat as world champions. The majority of Seattle’s 2014 defense will return intact for the 2015 season. The defensive line will again feature defensive ends Cliff Avril and Michael Bennett, as well as defensive tackle Brandon Mebane. Their speedy, play-making group of linebackers will feature three Pro Bowl caliber players in Bobby Wagner, K.J. Wright, and Bruce Irvin. Last but not least their secondary, which is arguably the best in the NFL, will feature three bona fide All-Pros in cornerback Richard Sherman, and safeties Earl Thomas and Kam Chancellor. With All-Pro caliber talent returning at nearly every defensive position on the field, it would only be natural to assume that the Seahawks will again have the best defense in the league. Heading into the season, we do believe that Seattle’s defense is again the best in the business. However, we also feel that there are a handful of teams that have what it takes to challenge them for the league’s top spot. The first team worth mentioning is the Detroit Lions. In 2014, they actually finished one spot ahead of the Seahawks in PFF’s team defense rankings, and finished the season second in total yards allowed per game, and third in total points allowed per game. However, while most of the Lions’ defense from a year ago will be back in 2015, they did lose five-time All-Pro defensive tackle Ndamukong Suh to the Miami Dolphins during free agency. For that fact alone, we think Detroit will take a step back defensively this season. The next team with the roster composition to make a run at beating out the Seahawks as the league’s best defense is the New York Jets. The Jets had the fifth-best defense in the league according to PFF and they finished sixth in total yardage allowed per game. That was before they added cornerbacks Darrelle Revis, who is arguably the best corner in the game, and Antonio Cromartie during free agency. The team also landed standout defensive tackle Leonard Williams with their first round pick in the 2015 NFL Draft. Williams’ mere presence on their defensive line should greatly ease the Jets’ pain that was caused by Sheldon Richardson’s recent four-game suspension for using performance enhancing drugs. When it’s all said and done, we would be shocked if the Jets failed to field a top-five defense in 2015, but we still don’t see them as a serious threat to unseat the Seahawks as the top defense in the NFL. We’ll stay in the state of New York for our third team that could contend for the title of NFL’s best defense in 2015. The Buffalo Bills came in as the eighth-best defense in the league a year ago according to PFF, and finished the season as the fourth-best team in the league in terms of total yards allowed per game and points allowed per game. They return almost their entire defense from a year ago, and their new head coach, Rex Ryan, is one of the top defensive minds in football. This leads us to believe that the Bills could have a defense that is nothing short of great this season. With that being said, we still don’t think the Bills will be on the Seahawks’ level in 2015. 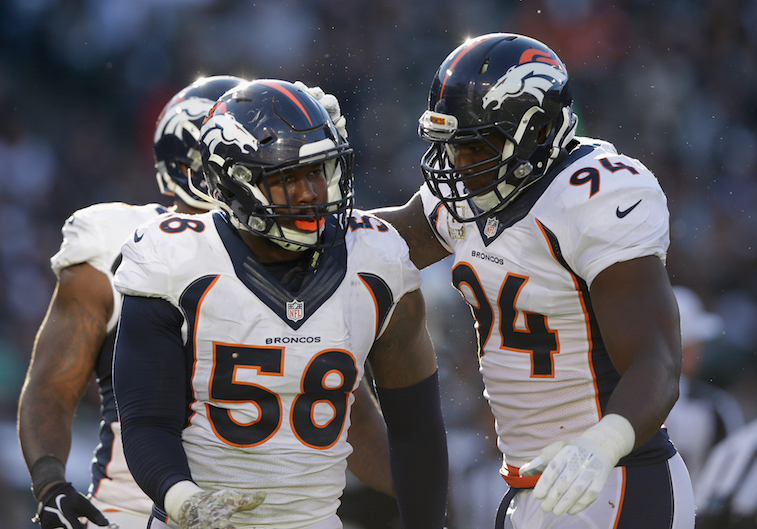 The last challenger to the Seahawks’ reign as the league’s top defense is the Denver Broncos. The Broncos will be shifting to a 3-4 defense under new defensive coordinator Wade Phillips, and have the personnel to thrive in 2015. In fact, we would even venture out as far as to say that defense will be the Broncos’ strongest phase of the game this season, and notnoffense – something that is extremely rare for a Peyton Manning-led team. With outside linebackers Von Miller and DeMarcus Ware coming off the edge, a trio of run-stuffers (Malik Jackson, Derek Wolfe, and Sylvester Williams) at the down lineman positions, and a secondary led by cornerbacks Chris Harris Jr. and Aqib Talib as well as safety T.J. Ward, the Broncos may be the biggest threat to Seattle’s defensive supremacy over the rest of the National Football League. Only time will tell if there will be a team that is able to overtake the Seattle Seahawks as the NFL’s best defense in 2015. However, until they suffer more roster attrition, which is inevitable, it’s hard to bet against them.